The holiday season is fast approaching and plans for corporate events are being made nationwide. As a business owner, throwing a holiday party has many benefits. It boosts morale, provides a venue for team members to get to know each other, and is an excellent networking opportunity. But throwing an interesting event every year can pose a challenge. You’ve done the photo booth, the comedian, and the caricaturist, and this year, you are looking for a new way to impress employees and clients alike. IV therapy is an unusual and exciting choice for a corporate event. IV drips have officially entered the mainstream, and there is a lot of curiosity surrounding the advent of this industry. Offering IV at an event will create a memorable experience that team members and clients will talk about for months to come. IV therapy is an excellent choice for a corporate event because of its many health benefits. Not least of which is mitigating headaches and hangovers caused by over-indulgence. Offering IV at a corporate event can help party-goers feel refreshed the next day, despite that fourth glass of wine. Celebrities have been extolling the virtues of IV therapy for years now, and there is a lot of hype surrounding the service in the media. Offering IV at an event will effectively position you as daring and cutting-edge. Your clients will be impressed by your choice while the service itself will ensure they leave the party feeling great! If you’re up for trying something new, IV therapy is just the thing. A unique and invigorating experiencing, an IV station will spice up any corporate event! 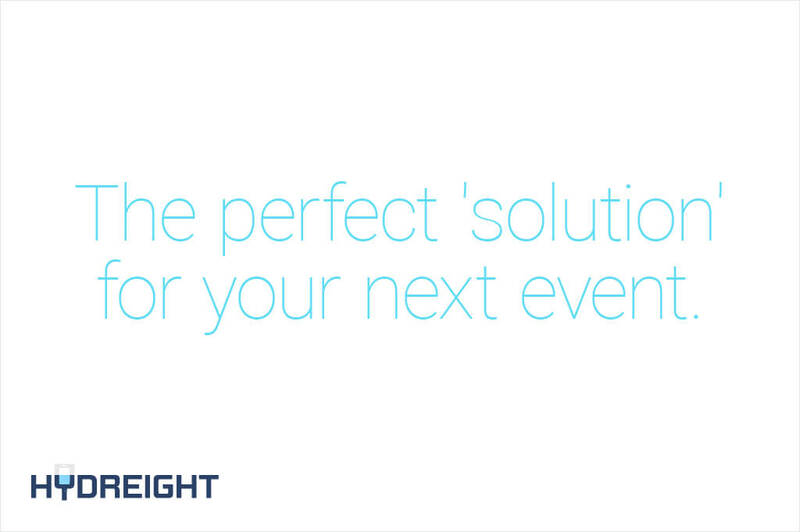 For more details or to book Hydreight’s mobile IV service to cater your next event, email support@hydreight.com.